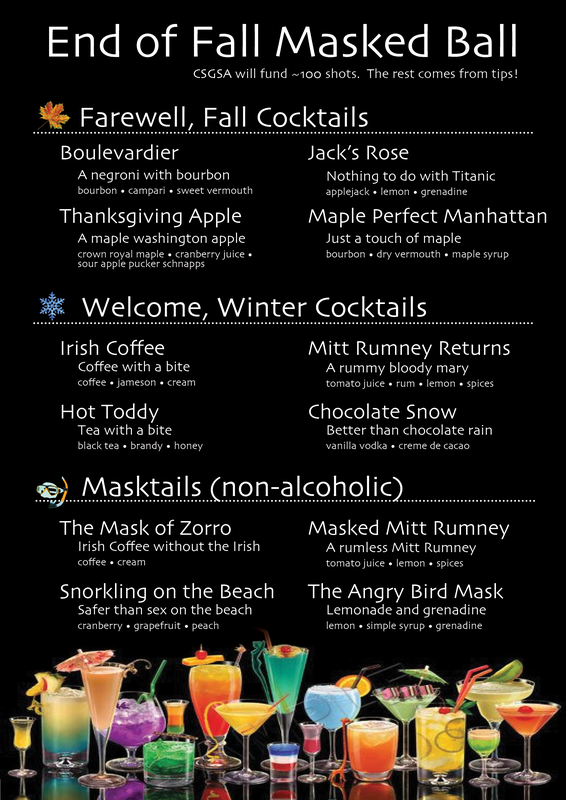 I occasionally make cocktail menus and bartend small gatherings. The presidential election was around the corner when the CSGSA (Computer Science Graduate Student Association at Berkeley) had its halloween party. Same party, one year later. 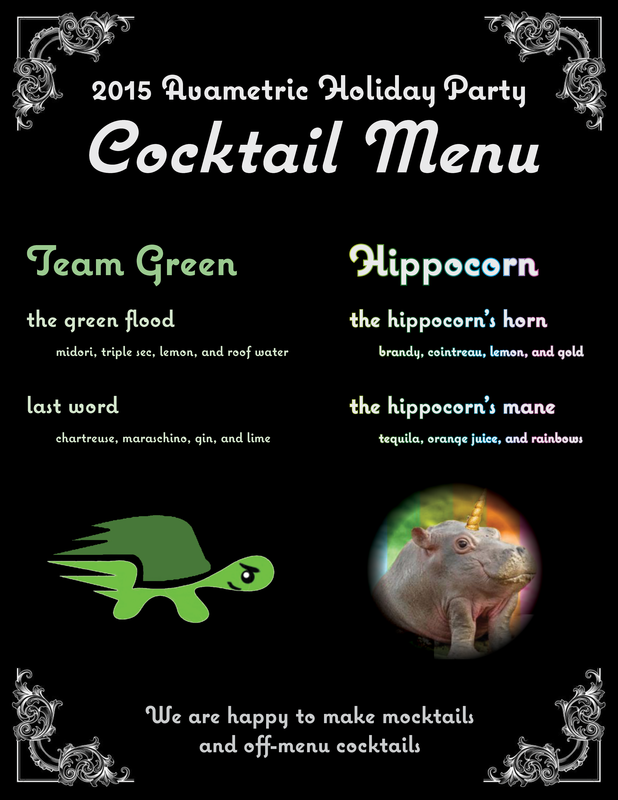 At the time of this party, we had two teams, Team Green and Team Hippocorn, as well as a leaky roof. 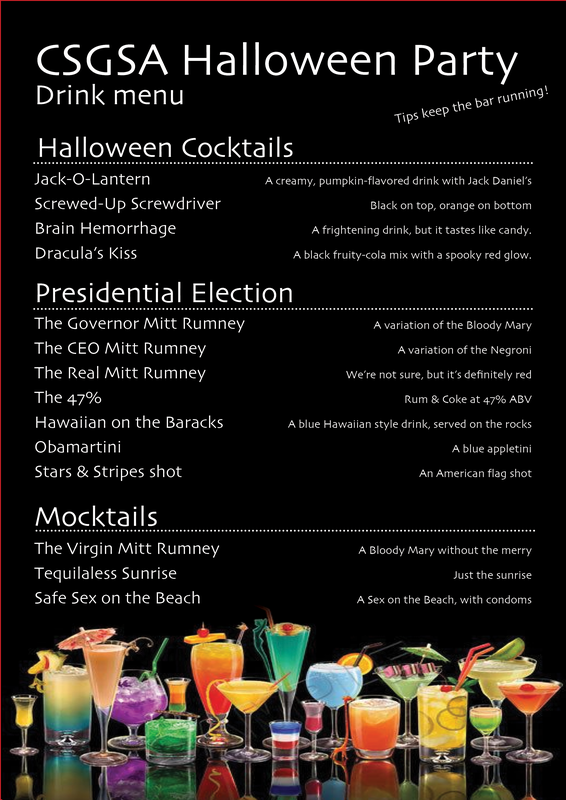 Each drink is based on an item in his resume.